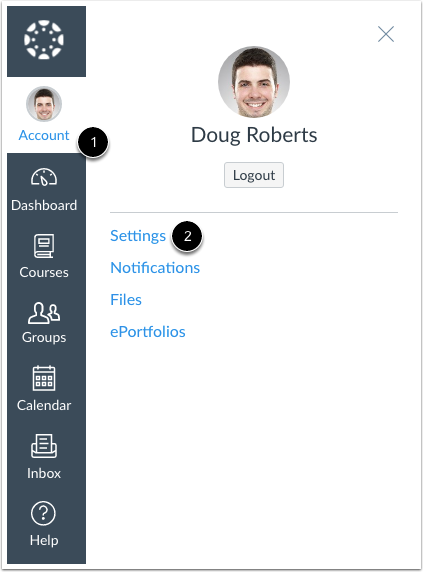 Here you will learn how to connect to the Delicious web service in Canvas. Click the Delicious button underneath the Other Services heading. Enter your user name  and password  in the appropriate fields. 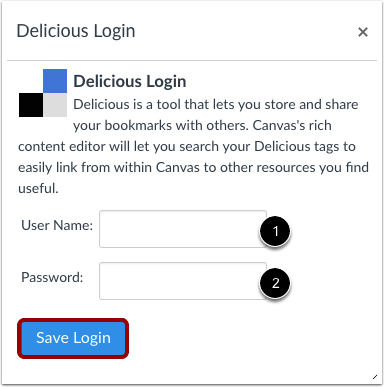 Click the Save Login button to connect your Delicious account to Canvas. 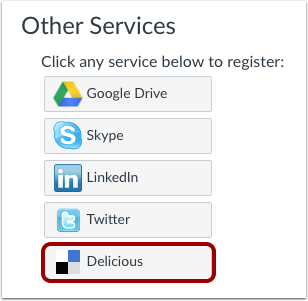 Delicious will now appear under the Registered Services heading. Previous Topic:How do I connect to web services outside of Canvas as an instructor? Next Topic:How do I connect to Google Drive as a web service in Canvas as an instructor? Table of Contents > Web Services > How do I connect to Delicious as a web service in Canvas as an instructor?